A few more sketches from Sunday’s candyfloss session! 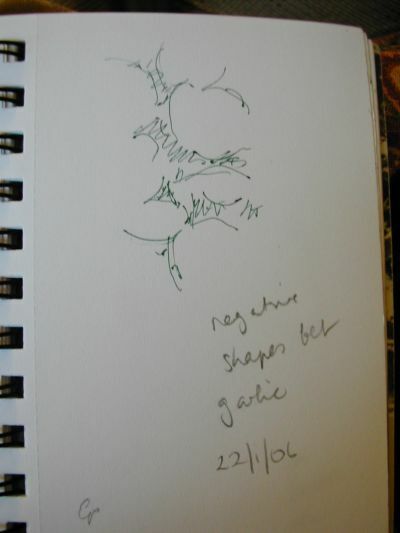 I am trying to write down relevant descriptive words by the sketches, to help inspiration if I want to translate it into fabric or paint. I think I read this in Creative Embroidery by Jan Beaney and Jean Littlejohn. I’ve never tried this before but it is a challenge. I think I need to swallow a thesaurus! 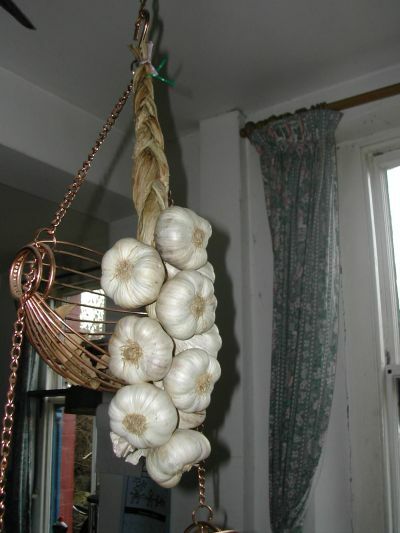 I’ve been eyeing up this string of garlic which I bought in a Continental Market which came to Newport a few weeks before Christmas, with an eye to sketching it. I love the fat, bulging look of these. 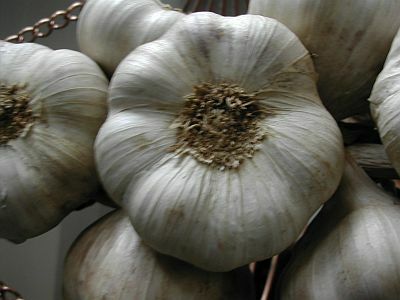 Truly kings among garlic. I did this one with the green pen again. 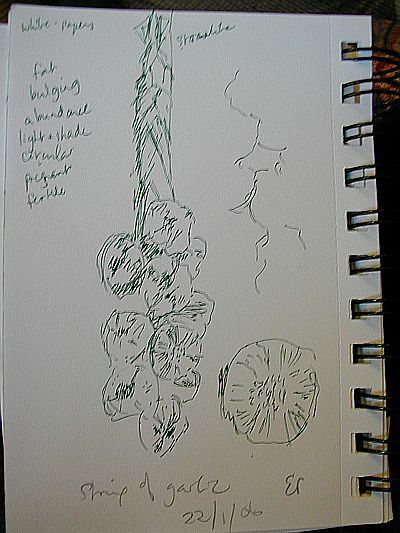 I made a quick sketch focussing on the negative spaces between the garlic. I think this could potentially be a good design if I did a few tricks with mirrors or played with it in Paint Shop Pro. 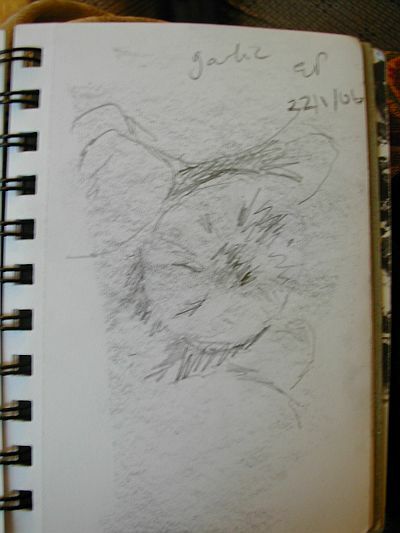 I did this one by shading a ground with a graphite stick, adding pencil marks and erasing the parts where light caught it. Hi Liz, I love your negative sketch. that is just the sort of sketch I like. I’m afraid I would not have much patience drawing the inside of a fridge either! Previous PostPrevious The Screenprinting Results!